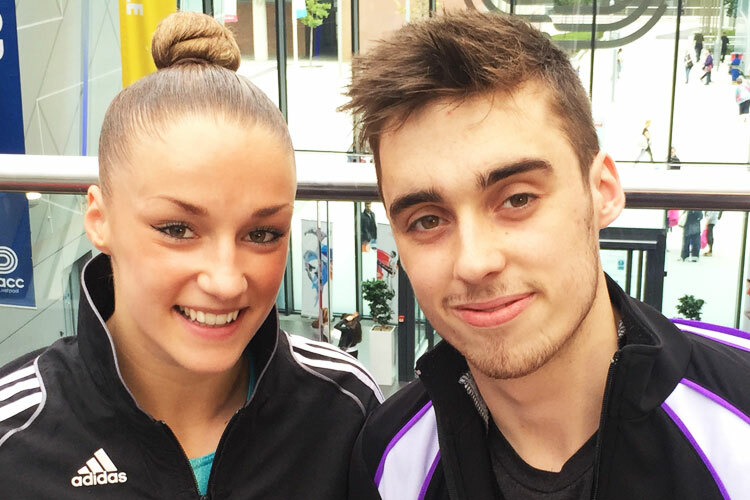 The 2015 British Gymnastics Championship Series concluded with outstanding displays by Britain’s best acrobatic gymnasts at Echo Area in Liverpool. The routines throughout the acrobatic gymnastics events were outstanding as European and World champion graced the arena in front of a packed crowd. The 2015 senior combined titles went to Hannah Baughn and Ryan Bartlett (Heathrow) in the mixed pair with 28.750, James Karageorgis and Farai Bright Garamukanwa (Heathrow) in the men’s pair with 27.400, Chelsea Fisher and Abbi Greaves (Deerness) in the women’s pair with 27.020 and Becky Evans, Gabbie Jackson, Heather Nixey (Oxford) in the women’s group with 25.630. With over 1,500 gymnasts competing over four days in four different gymnastics disciplines – acrobatic, aerobic, TeamGym and rhythmic, as well as the Liverpool Ministrada event, the British Gymnastics Championship Series has been a spectacular success and amazing showcase of gymnastics.